A home is the most expensive and important purchase you are ever likely to make, so it’s only natural that you should want to make it the home of your dreams. 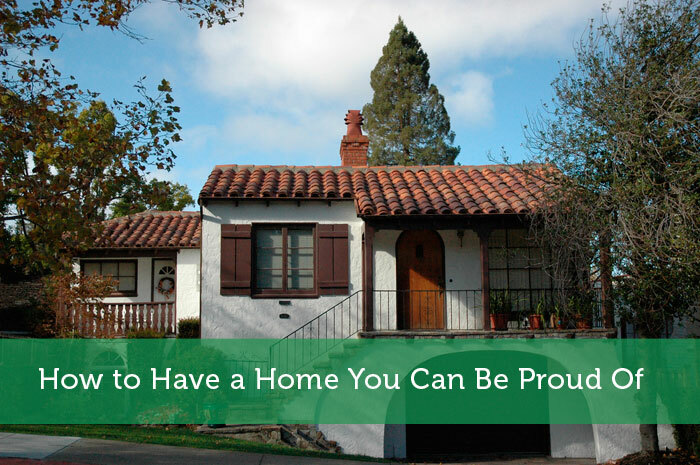 Whether buying or building a home, there are certain things you can do to ensure that your house becomes the affordable home you always wanted. When planning your future dwelling, it’s also important to not only think about your life now, but about your family and any additions that you may have planned in the future. Outlining your dream – Whether it’s a simple drawing, or even a page or two of descriptions, it’s a good idea to commit that home you have pictured in your mind down on paper. You could also use a bespoke software package to create the vision of your affordable home or even consult an architect. Creating a catalogue – there are probably some houses that you have always admired. Now it’s time to take some pictures of those dream houses, so that you can develop your ideas for your house and land. Are you looking for a home for your family now, or a home for how big your family will be in the future? Are you a fan of the modern, minimalist look or the rustic authentic feel? Are you committed to a green energy efficient living style? Going through these steps will give you a better idea about what kind of affordable home to pursue. Another big question may be how to buy a home or even build your own. It really depends on your situation and preferences. If you have the exact idea of what your future abode might look like and your desired location has lots of land, building might be your best option. If you can’t quite articulate your dream home, it might be worth visiting a few show houses to see what’s on the market. Keep in mind that if you do buy instead of build, you may have to compromise on size and features to get a house at an affordable price. If you want the best of both worlds you may want to consider buying a home off plan, or even a prefab home if you already have a piece of land and know exactly where you want to live. Whatever your decision, it’s a good idea to talk to friends and families who have gone through the process. Also, don’t forget your research online before dealing with any builder or real estate agency. HouseandLand.com.au is created to give a web based online platform for the sale of new houses, sale of land allotments as well as house and land packages. We also showcase a large variety of display homes. If you need some more information from our experts, get in touch with us today for more information on our range of house and land packages. When I built my house, I always tried to picture myself living there. It helps see construction problems, where you need a plug or a light switch, etc. Your home should be part of your identity. Another reason to want to make it your own is that you will most likely do regular maintenance and hopefully not have anything too expensive break down. During the process of planning our dream house, I and my wife were thinking for the big picture and considering possible problems to be encountered like the number of children we’re gonna have and the accessibility of our house to school, hospital, etc. I think the most important is the family planning and shared understanding so that we can make the best decisions we can make for our house. Constructing or buying a home is probably one of the biggest and most difficult decisions in anyone’s life because there are so many things to consider (location, design, features, etc.) and so much at stake (several years worth of salaries go into the project). I think the most important is the planning phase because you’re basically deciding to spend the rest of your life in one place and you certainly don’t want any regrets later on when you realize your choice doesn’t support your lifestyle or identity. This is good one post to understand various steps that we should follow before buying a home. One should take proper consultation and proper advice from experts before taking final decision.